If you love cars and see them as a potential way to make money, flipping cars for profit might be fun. Car-flipping is the art of buying used vehicles at low prices and quickly selling them for a profit. To be a successful car flipper, you need to know where to find cars, what to look for in each vehicle, how to make offers and how to be a savvy seller. Currently, there's an increasing demand for used cars, across all price ranges. With internet sales, you can tap into a worldwide market. Car lovers as car flippers have fun and make money, and getting started doesn't require a lot of time or cash. It's up to you whether you want to sell cars part-time or full-time. Sellers include college students who flip cars as a side hustle and those who do so well at it that they start flipping cars for a living. Another perk is that if you buy a car you like, you can drive it for a while before selling it. 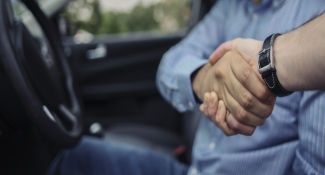 You recoup your investment in cash when you sell the car. Before you rush out to a car auction or contact a private seller on Craigslist, there are several things you need to know about how to flip cars. First, research the laws in your state about selling cars. States have different limits on how many cars you can own or sell without needing a dealer license. For example, Indiana residents can sell 12 cars per year without becoming dealers, while California allows a limit of five cars per year. Once you know how many cars your state allows, you might want to invest in a dealer license or make arrangements to pay a local licensed car dealer to do your paperwork. Working with a new or used car dealer might cost you a few hundred dollars, but it may help you make several thousand in extra cash throughout the year. It could also help ensure that the paperwork is done correctly and it could even free up your time. Your goals as a good car flipper are finding a good car at a low price, making sure it's one you can fix up quickly and safely, and selling it fast at a higher price. A high profit margin gives you funds to invest in your next vehicle or to save or spend as you choose. Generally, when flipping cars for profit, you should aim for low-mileage vehicles made by well-known automakers such as Chevrolet, Ford, Honda, and Toyota. There's always a high demand for efficient sedans, compact SUVs, and inexpensive hatchbacks. Wise car flippers consider climate and terrain when buying and selling cars. Convertibles and cars with sunroofs are popular in warm, sunny climates. Four-wheel drive vehicles are big sellers in areas that get lots of snow or have hilly conditions. If you don't have a dealer's license, public auctions are good places to find cars without spending much money. 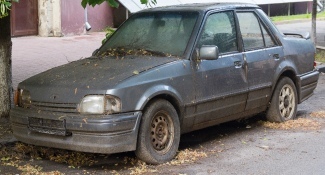 Public auction vehicles include lender repossessions, cars that the government has seized for back taxes, liens, or forfeitures, and abandoned vehicles. Craigslist is another source for good deals, especially if you prefer to deal with a private seller instead of bidding at public auctions. Its free classified sales ads feature plenty of cars ready for flipping and plus motivated sellers. Another plus is you don't have to pay a percentage of the sales price to anyone. On the downside, lots of scammers use Craigslist. 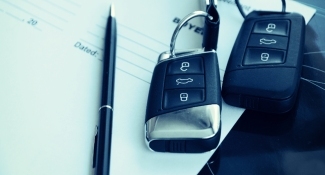 You need to be knowledgeable and vigilant when looking for a good car on the site or when selling a vehicle. A similar option to Craigslist -- but one that's more regulated -- is eBay Motors. It offers a wide choice of vehicles, but it charges big fees for successful listings and many consumers have complained that it often fails to police shady or fraudulent sellers adequately. Other sources of flipping cars include ads in traditional newspaper classified sections, "For sale" ads posted around town, and cars with "For sale" signs parked in neighborhoods. Just don't expect to find lower prices at your local dealership. Their prices have hefty profit margins built in, no matter what kind of deal they offer you. When setting the budget for your first car flip, people with experience suggest $1,500 as a starting amount. That gives you enough to buy a decent car at auction with moderate to high miles while leaving room to make about $500 to $800 in profit. These same experts say you should set a top-end limit of $5,000. They know the more money you spend, the fewer cash buyers you'll be able to find once you go to sell the car. Plan on having cash to make your purchase. If you're buying at auctions, they may take credit cards, but you don't want to carry credit card interest that will eat into your profit margin. For your first car flip, it's a good idea to have extra cash on hand. A good rule of thumb is one-half of your purchase budget. So if you start with $1,500, set aside an additional $750 that you can use on your second purchase. As you gain experience, you'll start to get a better sense of how much cash you're comfortable operating with. Do You Know How to Value a Car? When you're flipping cars for profit, you need to know how to value a car. There's lots of research to do even before attending auto auctions or making offers on cars you see on Craigslist or in ads. Not only will sites like KBB.com and Edmunds.com have pricing guides but they'll also show owner listings of a variety of makes, models, years, and trims for common cars. This information helps you find cars that are undervalued and can yield big profit margins. Look for cars that are in demand and are below market price. Steer clear of cars with aftermarket features such as fancy spoilers or overbearing exhaust systems. They're hard to sell in general markets and don't bring big returns. You don't want to get stuck with a slow-selling car, one that sells at a lower price than you want, or even worse, one that doesn't sell at all. Asking questions about the car gives you information about its value and how much investment it might need. Find out how long the car has been sitting. Car flippers know when a car hasn't been driven for a long time, things may break down once it starts running again or it may need considerable upkeep before you can sell it again. You should factor that information when considering an older car with low mileage. It might mean the car needs additional work. Whether you're at an auction or viewing the car from a private owner, you need to inspect the car's exterior and interior. The most crucial thing to look for on the exterior is the signs of rust; check the wheel wells, dents, dings, in the roof rails and the lower fenders of the vehicle. Fixing rust can be time-consuming and costly. Also, pay attention to how clean the vehicle is. Wet a tissue or your finger with water and run it on the side of the car. If dirt comes off easily, a good washing will improve the vehicle's looks. When inspecting the car's interior, look for defects such as damaged upholstery, stained or faded flooring and poor instrumentation and lighting. If you can get inside or roll down the windows, give it the sniff test for bad odors, including smoke, old food, and pet smells. Pay attention to hanging deodorizers, sprays, or other efforts to mask odors. It might not be worth your extra expense to neutralize bad odors if this is going to be a lower-end flip. A key to a flip car's value is what it looks like under the hood. Car flipping experts know if a car has a dirty engine compartment, it probably requires costly attention that eats into profit margins. For example, dirty oil can be fixed with an oil change, but evidence of engine oil leakage could mean expensive repairs and might be a deal-breaker. Inspect the belts with the engine turned off. Worn or frayed belts need replacing, which can cost you hundreds of dollars. There shouldn't be any water leaking from the radiator and the water should stay at a normal temperature. An overheating or leaking radiator means the vehicle needs repairs, which means less profit for you. Check the hoses. Replacing a radiator hose can be $200 or more. Once you've identified a car that interests you and it has an asking price in your target range, check the vehicle's history before you spend time on a test drive. Use the 17-digit Vehicle Identification Number (VIN) and run a check with two free websites, SaferCar.gov and the National Insurance Crime Bureau. The first one is sponsored by the National Highway Transportation Safety Administration. It tells you whether the car has been repaired as part of a safety recall in the last 15 years. The second website tells you whether the current owner obtained the car legally, and it has up-to-the-minute information about car theft. It's also wise to use the VIN and buy a Carfax or AutoCheck vehicle history report. These reports tell you if there were any accidents and title or ownership changes. When test-driving a vehicle, especially before an auction, give special attention to the way the transmission works. If the car has an automatic transmission and there's a lag longer than two seconds between shifting and engaging, that's a bad sign. It's likely the vehicle needs a new or rebuilt transmission soon. Checking the brakes is crucial to your test drive, too. On a clear, dry road, get up to a good speed and let your passengers know you're going to make a sudden stop. Step on the brakes hard. The car should stop quickly, smoothly, and in a straight line. If the car's stop is crooked or shaky, you have worn brakes that must be replaced. While it might not ruin the deal, it's another potential bite out of your profit margin. Whether you're at an auction or face-to-face with a private party seller, stay relaxed and remain unemotional. At auctions, be sure you know the bidding rules well in advance and don't get caught up in a bidding war that takes you beyond your budget. Don't get stressed if you miss one car, because there's always another one waiting. If you're dealing with private sellers, ask them why they are selling. The answer may give you insight into how low you can go with your offer. Make a cash offer below the asking price and don't be afraid to walk away if it's not a favorable price for you. Once you have the vehicle and title, it's time to prepare the car for flipping. Get complete diagnostic checks of the car's systems and have reputable mechanics complete the repairs. You never want to sell an unsafe car to anyone. However, skip repairs that aren't safety issues and don’t boost the car's resale value. Clean the car thoroughly inside and out. You may want to have it detailed professionally, depending on its make, model, condition, and your budget. It's often surprising how much better a thoroughly-detailed vehicle will look. When it's ready, your next steps are pricing, listing, and selling your car. Use the aforementioned KBB and Edmunds sites to set a fair list price and a rock-bottom dollar figure that's as low as you're willing to go. Take the car's honest condition into consideration and use your home ZIP code for values. Advertise in places most likely to reach your target market. Show the vehicle in a safe location and avoid going alone. Remember you aren't desperate to sell the vehicle, so wait before going to the rock bottom price. Only accept cash and give the buyer a detailed bill of sale and receipt with the free and clear title. Making money flipping cars can be fun and rewarding. With thorough research, patience, and a positive attitude, you can create a new and flexible income stream that puts extra cash in your pocket and puts buyers in safe, affordable vehicles. How Do You Transfer the Title of a Car?